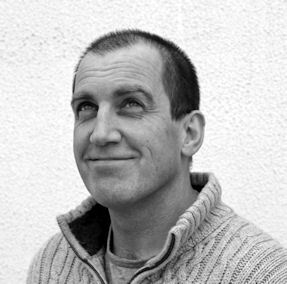 Alan Capel has worked in the Picture Industry for over 20 years. Whilst working as a freelance cartoonist he stumbled across the world of stock and, except for a brief sojourn trying to sell expensive photographic art on the internet, has been here ever since. Alan started as a picture researcher at Tony Stone Images and managed the physical library in the days before digital. He then focused on the development of the sophisticated keywording approach implemented by Getty Images that underpinned the shift from analogue to digital. Alan joined Alamy shortly after its inception in 2000 and as Head of Content is responsible for Alamy’s images and the recruitment and management of the contributors who provide them. The site has over 56 Million stock, news and historical pictures from over 40,000 photographers and over 600 picture agencies. He developed Alamy’s strategy for social media and was most recently responsible for their mobile phone app ‘Stockimo’. He is a regular speaker at Photography industry events and undertakes talks to students opening their eyes to the possibilities and pitfalls that await them in ‘the real world’. He is a past board member of PACA (Picture Archive Council of America). He is a published photographer but much prefers drawing to taking pictures and has co-authored four cartoon books. What's your role within Alamy? I'm Head of Content, the images submitted by our Contributors are the lifeblood of the business, I'm in charge of the Operations required to take in over 1M images a month, plus I make sure our photographers and contributing agencies and collections are looked after. I'm responsible for recruiting new talent onto the site and I'm also responsible for Stockimo our app for crowd sourced mobile content. What markets does Alamy serve? All markets for imagery is the simple answer. Advertising, Web, Design, Books, Newspapers, Magazines, Digital media, Consumer goods, Calendars, Packaging ..the list goes on and is expanding as technology evolves. Why is Alamy so successful? On the sales side, we care about customer service and the experience our customers have on our site. We've invested in the brand and the online presence of the business to keep it at the forefront of buyers minds. We have an unrivalled collection of hi-res images immediately available on the web (over 56M images). So if you need an image, we'll have it. From a photographer point of view, we strive to be open and transparent and we like to treat photographers fairly. The industry is ever changing and we are at the centre of it so we can move quickly, the trick is keeping your photographers with you on that journey. Why should photographers choose Alamy to sell their work? We'll give you 50% which is a very good return these days. Perhaps most importantly we let you decide what you want to sell. If your images are technically ok we won't reject on grounds that we don't like the image or that we have too many of the subject, we let the customers decide which images they want, we don't try to second guess. Also we've been working with a growing photographer base now for over 15 years, We have cool tools and features for photographers and we upgrade them all the time. You can trust us to look after your images and give you an opportunity to sell on a global scale. The Stockimo collection is growing very quickly, how important is this market sector to you? Very important, it brings a freshness and an immediacy that is hard to capture, plus it taps into a new user base, super creative people who don't own a camera. Stockimo images are very different to normal stock. How are clients and photographers reacting to that? They love them, again for the look and feel they portray. Some customers are specifically asking for mobile, some choose a mobile image simply because it looks great. They've proved extremely popular and I don't think it's just a fad, cameras on phones will develop and evolve and so will the imagery. What are your plans to extend the platform to other phone cameras? No immediate plans, developing an Android platform takes a lot of time and effort and we've got a lot of other projects on the go at the moment but we aren't ruling it out. Alamy give a lot of income to charity, how important is that to the company? It's always been an important part of what we do. We fund a number of projects and put a lot of our profit into charitable and philanthropic causes. What do the big selling photographers do differently that attracts buyers to their work? They put themselves in the buyers shoes. They ask the question 'What would this be used for' before shooting. They follow trends, well actually they stay at the forefront of trends and catch them when they are on the rise. They constantly learn and evolve. Plus they keep one eye on the Industry but don't obsess with the state of the world and they focus on what they are very good at, shooting saleable work. Where do you see the future of stock photography? Technology will take us to places we can't even imagine. Imagery will always be important and we have to make sure we maintain it's value. We've seen imagery supposedly given away but there is a commercial end game to such projects and as long as the photographer gets paid it's a viable approach. The proliferation of imagery won't slow down, there's so many more producers of interesting work than ever before. The Stock Industry needs to make sense of all of the imagery, make it available to users at every level and to build a licensing culture around imagery that is simple and easy, seamless even. Do you have any tips for would-be Alamy contributors? Yes, sign up and submit your work, don't worry that you might not have what it takes. The customers will decide. On a more practical level, understand your equipment, invest time in getting the best shots you can and spend time keywording them to make them available for all possible uses. Plus if you have any questions, ask. Either ask people on our forum, this is great as you get it from the horse's mouth or ask us, we'll get back to you the same day and put you on the right path. To learn more about Alamy follow this link to their website. and here's a link to the Alamy contributor page.